I decided to name my DQS 13 pattern Starburst because it looks like a fabric explosion :) I’m almost done with piecing the top together and then it’s ready for quilting. I plan on releasing this as a large size quilt pattern sometime this year. Hopefully I can finish piecing the top today. This is beautiful! I love the contrast of the black and the design is a wow! 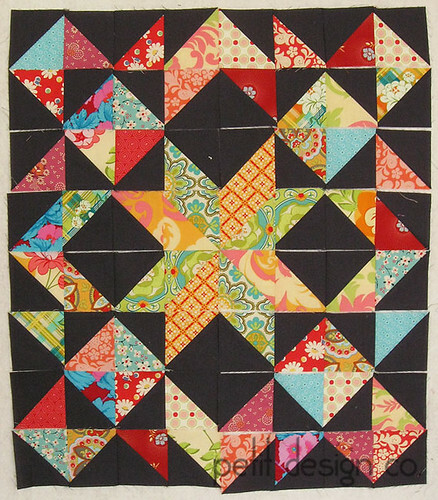 HSTs are such a versatile block = love them. This is stunning. contrast is terrific.